It is a delight to hear your practice and witness your razor like intuition. Your gift is a treasure. It has been 8 weeks or so since the reading and the family has benefited wonderfully. By far and large the most amazing show you have is Dr Mona Lisa. She is both funny and smart all at the same time (the woman is a hilarious genius!!). What she shares is so informative it’s life changing. I ABSOLUTELY love her and what she does in this world (and yes that includes all the crazy cat drama in the back ground— adds to the theatre of it all). Have been listening to her for years, and hope to be doing so for many more years to come. Dr. Mona Lisa has wow-ed me with her extraordinary skills and talent. In sharing her knowledge, she creates a beautiful bridge between right and left brained ways of knowing the world. Her fiery personality infuses her workshops with life and passion and ignites in me the will to face myself. I am in eternal gratitude to Mona Lisa for her courage and commitment to her higher purpose. 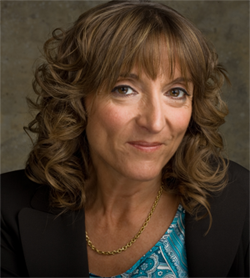 Mona Lisa Schulz (Dr. Mona Lisa), is a medical intuitive. In addition to her extensive background in health and brain research, Dr. Schulz has been a practicing medical intuitive since 1987. During a medical intuitive educational consultation, knowing only someone’s name and age, Mona Lisa discerns both a person’s physical condition and the emotional state of his or her life, explaining how the two are linked. Dr. Schulz teaches us how to become aware of how our symptoms of illness are part of our intuition network, letting us know when something in our lives is out of balance. During a medical intuitive consultation, there is no physician/patient relationship, no prescribed treatment, nor is any psychotherapy being performed. Mona Lisa will educate you in how specific emotional situations in your life are associated with the increased risk of illness in a specific organ in your body. One of the many joys in Dr. Mona Lisa’s life is teaching individuals how to acknowledge, trust, and develop their intuitive skills. Dr. Mona Lisa's INTUITION ACADEMY teaches Medical Education Intuitive Workshops. Check here to find out when she will be in your town! 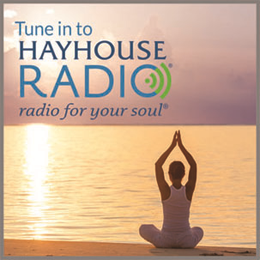 Dr. Mona Lisa hosts "Intuitive Health" on hayhouseradio.com where you can listen online and speak with her directly for a live, on-the-spot reading. Hear her describe specific physical and emotional problems in callers lives and at the same time, give no-nonsense, grounded, practical but funny, in your face solutions on how to fix the relationship/job/family or physical or emotional problem.